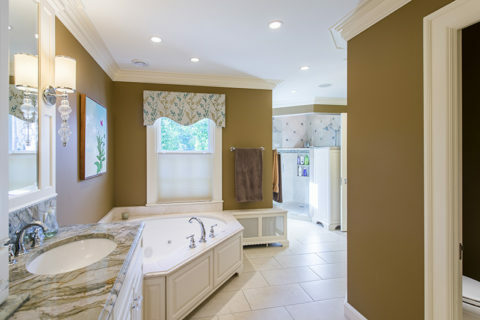 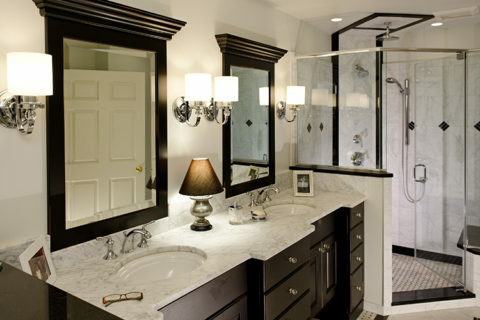 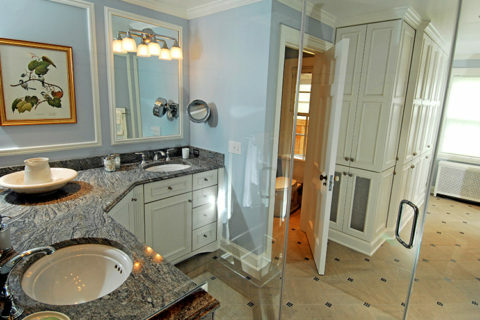 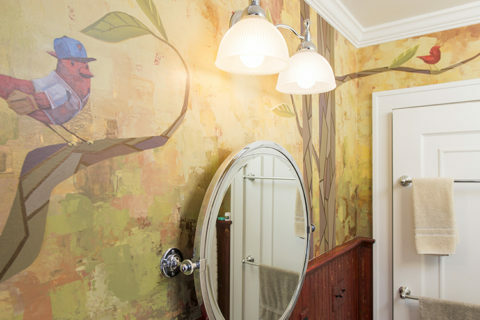 In this master suite project in Shaker Heights, Ohio, bath remodelers Karlovec & Company took inspiration from distinctive architectural details, creatively incorporating them throughout the space. 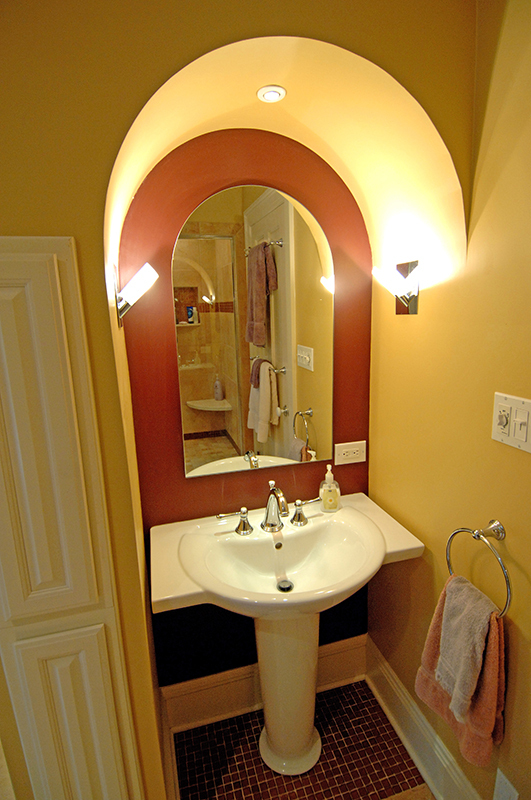 The master bath features dramatic archways that put pedestal sinks on display and cleverly hide needed storage, as well as dramatic tile and wall colors that make for a warm and romantic atmosphere. 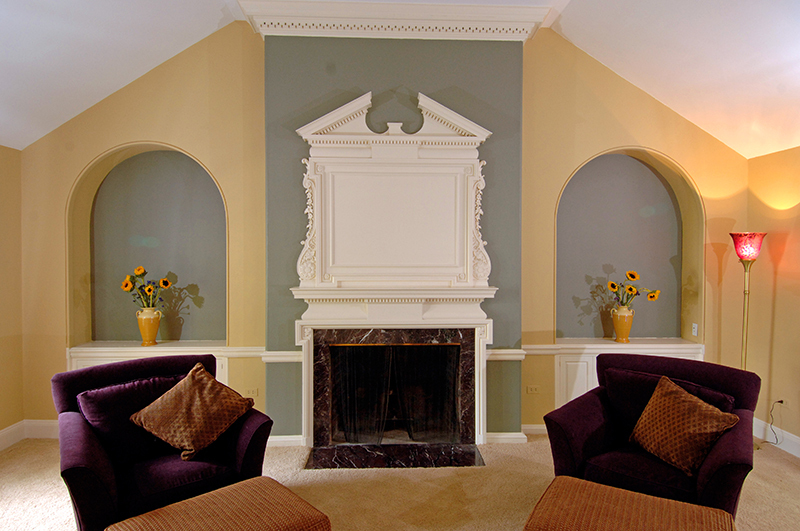 The arch theme is carried into the bedroom area, tying together windows, doorways, and interesting display niches. 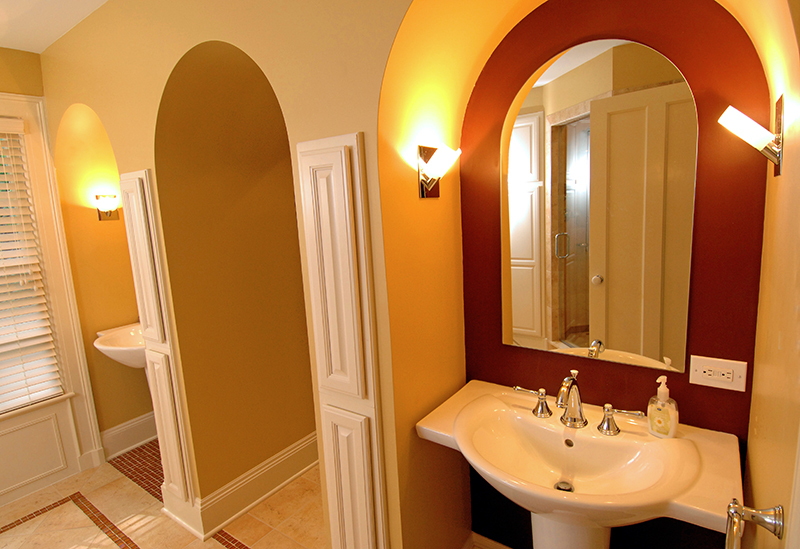 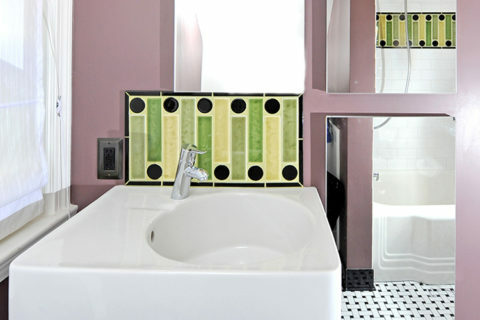 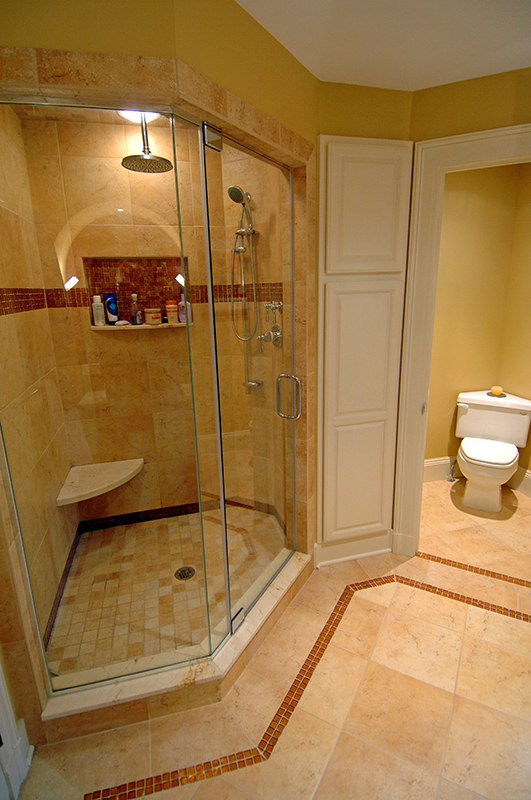 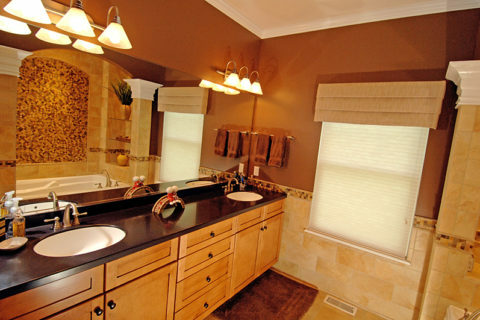 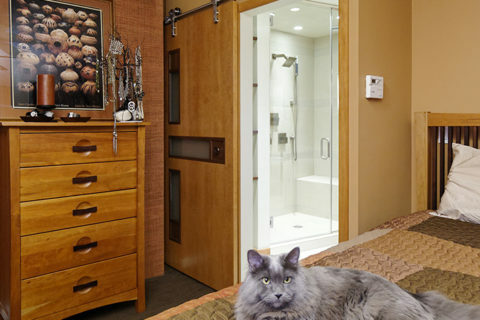 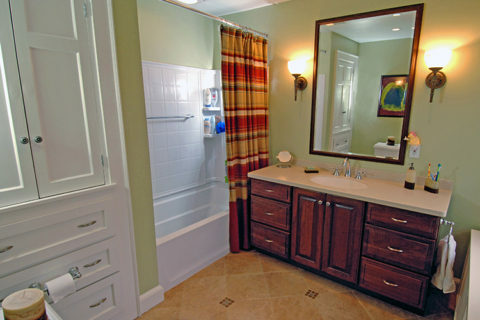 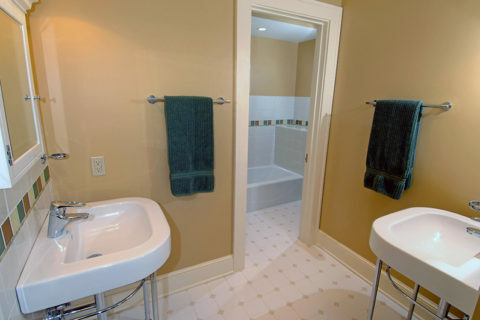 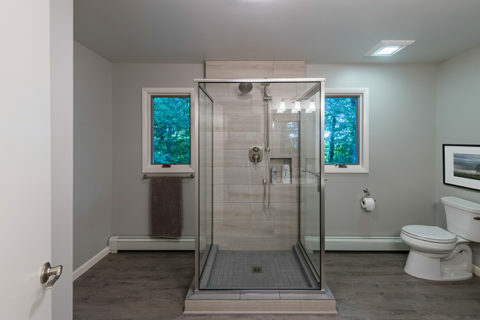 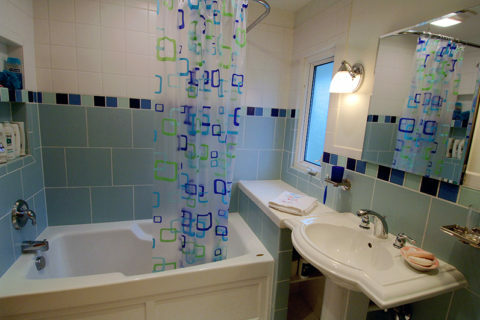 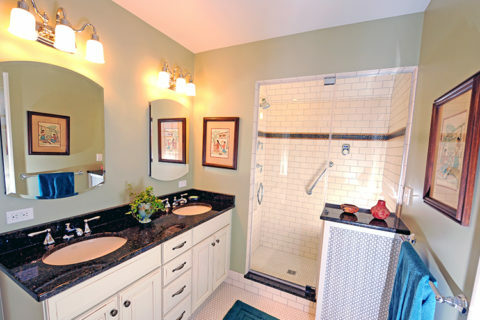 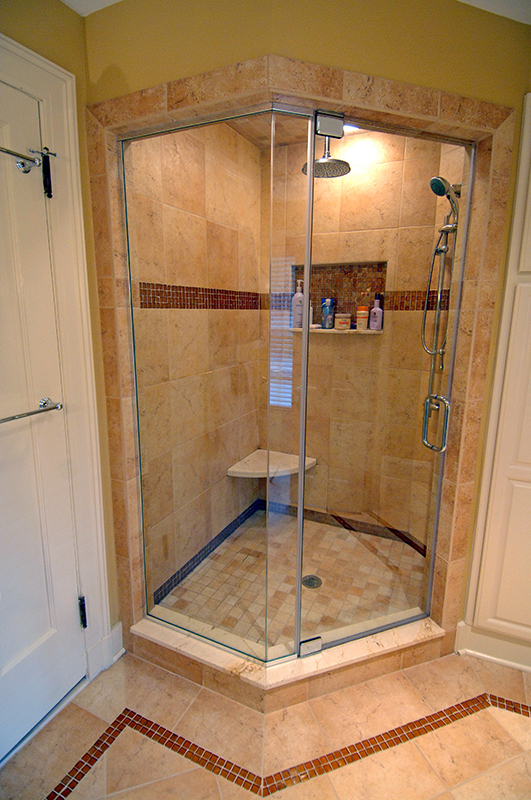 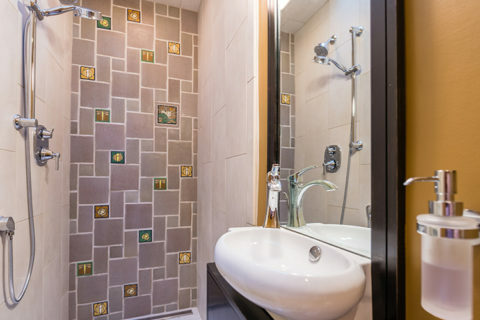 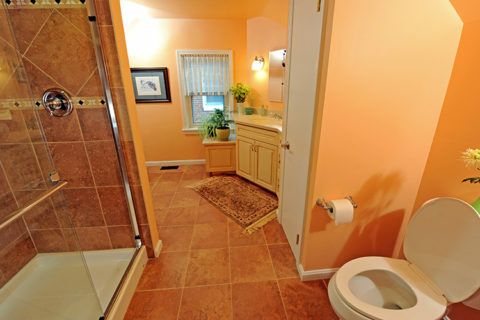 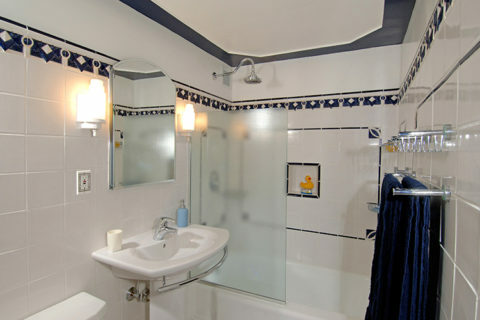 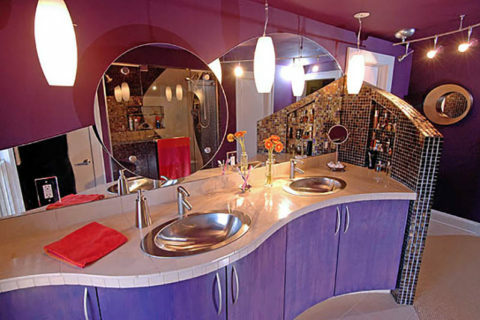 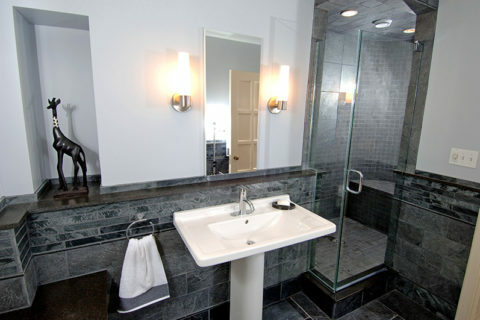 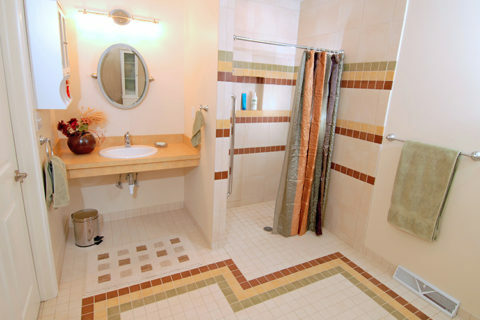 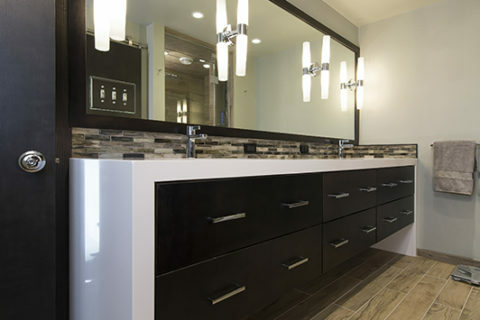 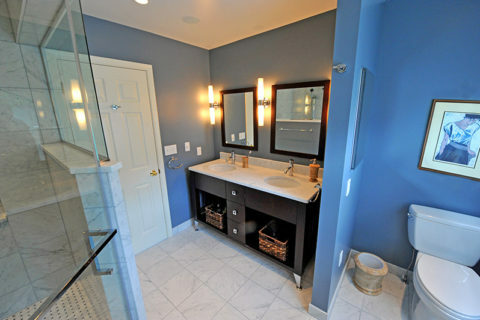 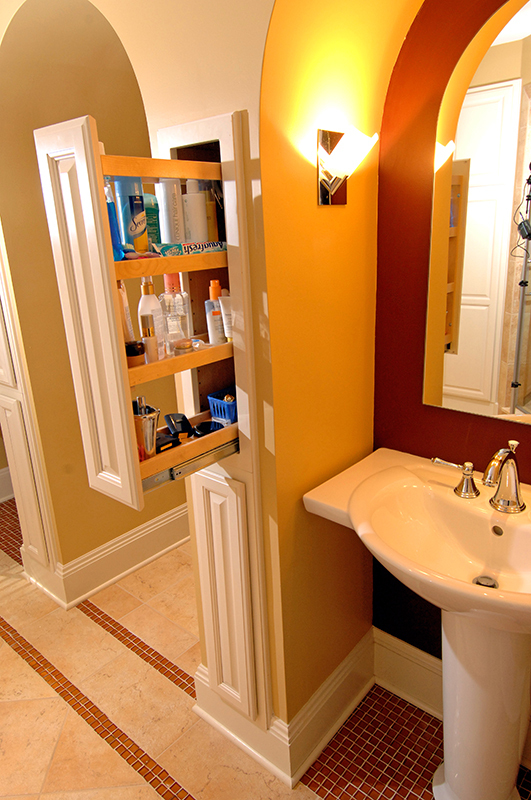 “The most recent projects completed in our home are a third floor bathroom and our basement. 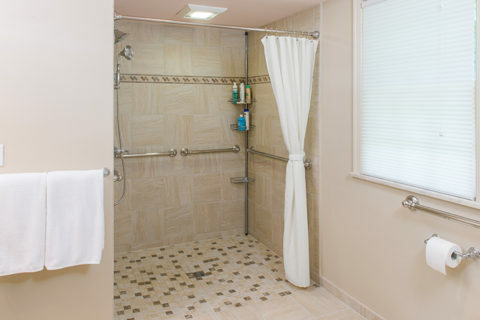 Our home was built in 1919 and has many challenges that come with most older homes. 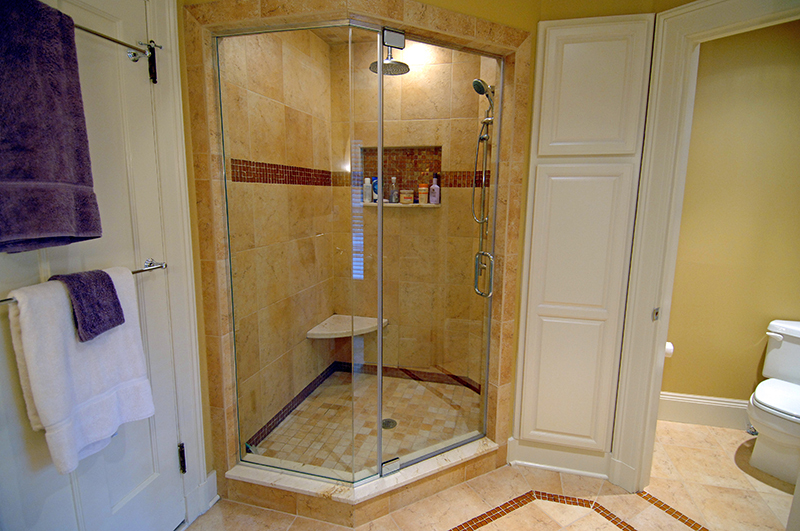 We have trusted Jim and his company, Karlovec & Company for 10 years. 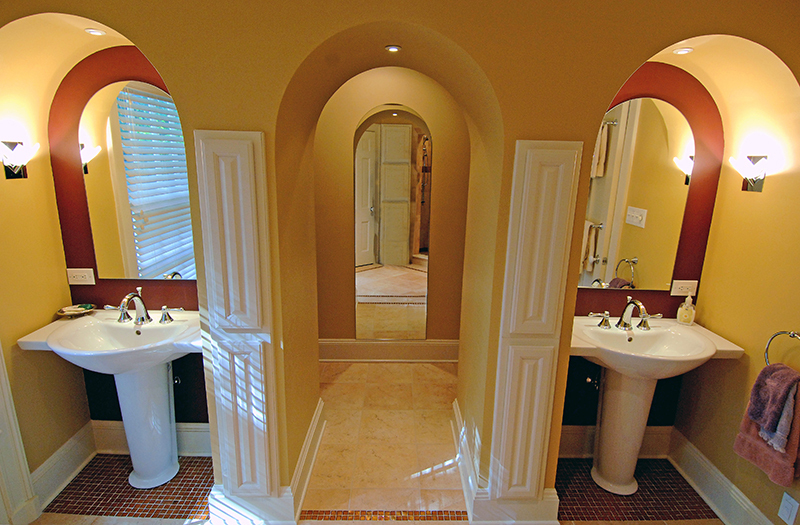 What began as a whole house remodel, has led to various projects inside as well as outside of our home. 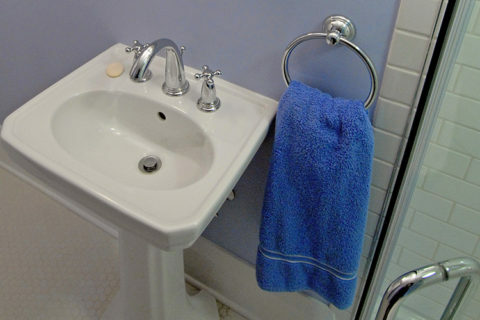 It was only natural that we would hire Jim to work on our next projects. 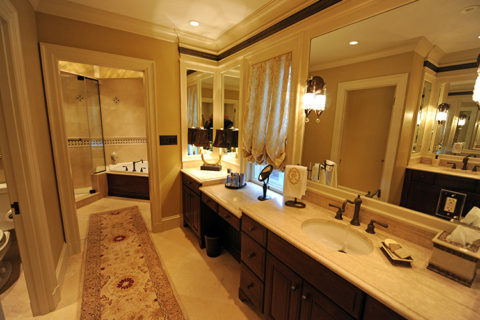 True to his expertise, professionalism and knowledge, these projects turned out just as expected – beyond wonderful. 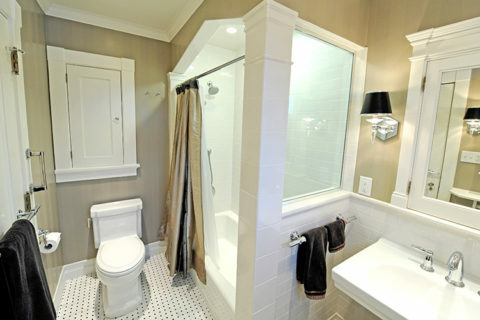 We are so happy with the final product on both.